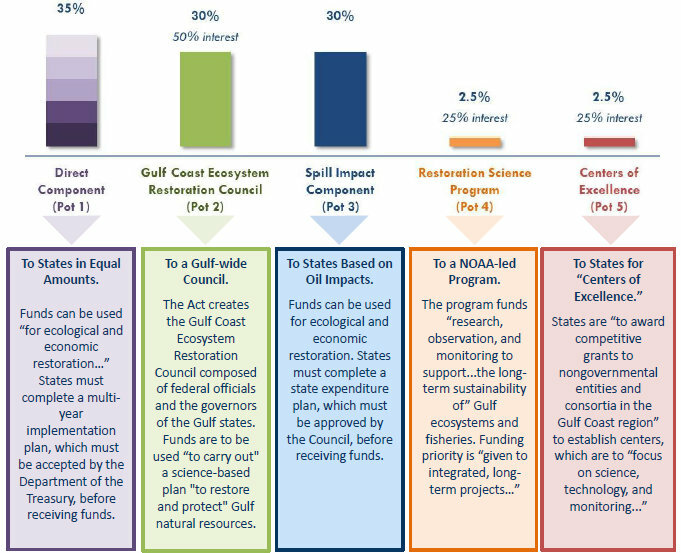 The Resources and Ecosystems Sustainability, Tourist Opportunities, and Revived Economies of the Gulf Coast States Act of 2012—better known as the “RESTORE Act”—was enacted on July 6, 2012. 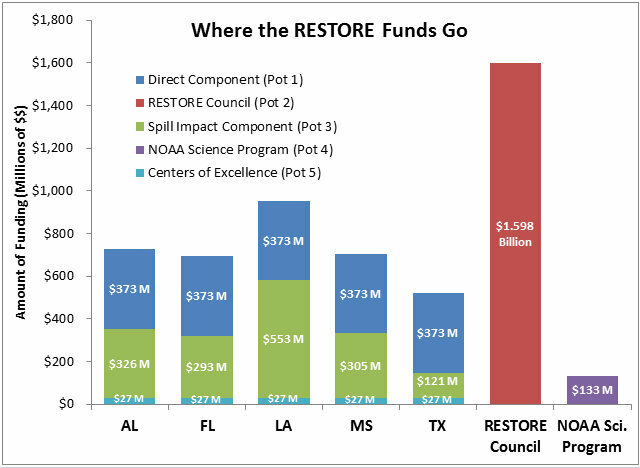 The RESTORE Act creates a Gulf Coast Restoration Trust Fund (RTF), which is receiving 80% of any Clean Water Act (CWA) civil and administrative penalties paid by BP and other companies responsible for the Deepwater Horizon oil spill. In total, more than $5.3 billion will flow into the RTF. BP will be paying Clean Water Act civil penalties over a 15-year period, with the first payment made in 2017. Transocean and Anadarko have already paid their penalties. Funding has started to be allocated to projects, programs, and planning. See our Restoration Projects Database and Map for more details.